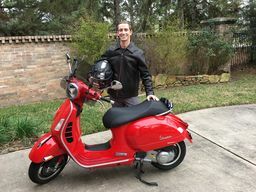 Selling my 2013 Vespa GTS 300 Super - $4,000. 6,196 miles. Clean title in hand. It has always been garage kept. I just had new Pirelli Diablo Rosso 3 tires installed and the oil changed about a month ago. Engine/transmission have always been run stock - no modifications!